"Cavity" means tooth decay, and in medical terminology, it is called dental caries. Dental caries or cavities are caused by erosion of tooth enamel by the acids present in the mouth. The bacteria present in the mouth get deposited (along with saliva, food particles and other natural substances) on the surface of the teeth. This is called plaque. The bacteria in the plaque convert the sugar and carbohydrates present in the foods we eat into acids. These acids cause erosion of tooth enamel that leads to a cavity. A cavity can be caused anywhere on the tooth which is exposed to plaque and acid, like the hard outer enamel on the tooth crown or the root of the tooth that lacks enamel (which is exposed by gum recession). Caries can extend from the enamel to the dentin (main body of the tooth) or even up to the soft tooth pulp and the sensitive nerve fibers within it. What causes pain in a cavity is not known. Inflammation probably causes pain due to bacteria, exposure of root of the tooth and an imbalance of fluid levels in the dentin. Root cavities: The gums recede with age and expose the root of the tooth. The root of the tooth lacks enamel and hence these exposed areas easily decay. Recurrent decay: Tooth decay can occur around existing fillings and crowns, as these areas tend to accumulate plaque. Cavities occur commonly among children; however, adults are also at risk. The risk of cavity is higher in adults with dry mouth (a condition caused by lack of saliva). A cavity is a severe problem. If it not treated appropriately and time it can destroy your tooth, and even cause an abscess (an area of infection) at the root tip. If an abscess is formed, it has to be treated with a root canal, surgery or by extraction of the tooth. Your dentist can confirm if you have a cavity, as cavities at times from below the surface of the tooth, where you can't see them. The tooth enamel beneath the surface is broken down by the bacteria in the plaque while the surface enamel remains intact. When a certain extent of the sub-surface enamel is damaged, the surface collapses, forming a cavity. Cavities are mostly formed in pits on the chewing surfaces of the back (molar) teeth, in between teeth, and near the gum line. You should have regular checkups with a dentist to spot them and treat them before they become a serious problem. You may not have symptoms of early caries. But as caries progresses your teeth may be sensitive to sweet foods or too hot and cold temperatures. 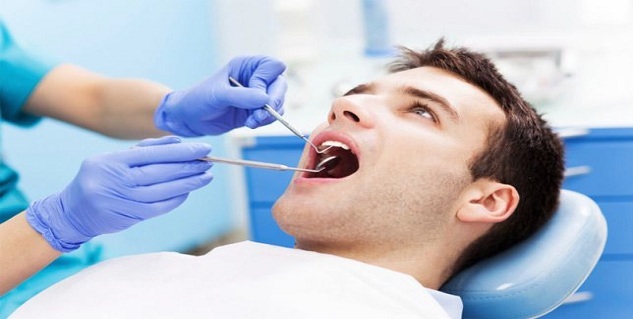 Your dentist will examine the teeth visually and if needed will probe the teeth with an instrument called an explorer to ascertain if you have pits or areas of damage (cavity). If the cavity is not obvious but your dentist suspects caries he or she will take X-ray of the concerned tooth. White spots on a tooth indicate early caries that has not yet damaged or eroded the enamel. At this stage, if the acid damage to the tooth is controlled and the tooth is given a chance to repair the damage, caries may not develop. 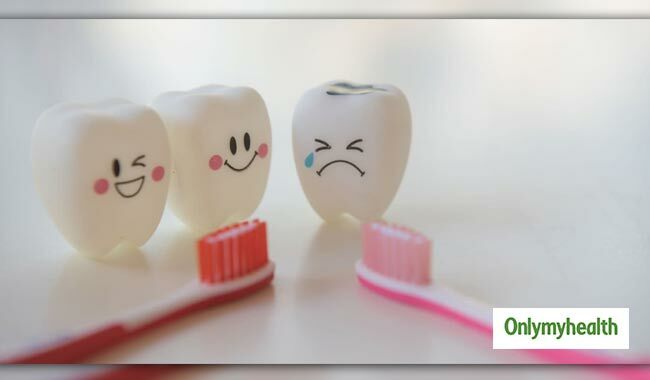 But once the enamel is damaged, caries cannot be reversed. In most people, caries will continue to worsen and deepen with time and can extend down to the root as well. The time needed to progress from early stages to involve the root varies from person to person. Likewise, caries may become painful within months or it can take years to get to that stage. The conventional treatment for caries is filling. The dentist blocks the pain while working on the tooth with the cavity by use of anesthesia. The decayed substance form the cavity is removed first then the cavity is filled. Fillings are usually made of a dental amalgam, composite resin or gold. In a large cavity, the remaining tooth structure may not be able to support the amount of filling material needed to repair it. In this case, your dentist after removing the decayed material will fill the cavity and use an artificial crown to cover the tooth. If the crown of the tooth is relatively intact, and the damage is in the interior of the tooth, your dentist will suggest treatment from a dental specialist called an endodontist. The endodontist will do a root canal treatment. In this procedure, the pulp of the tooth is removed and replaced with an inert material. Most people after a root canal treatment need an artificial crown to cover the tooth. If a cavity is not diagnosed early, it will cause the tooth to erode significantly. Eventually, the root of the tooth may also get affected or destroyed by uncontrolled decay. If you have a cavity in one tooth it increases your risk of more cavities as the oral care and dietary habits that lead to the initial cavity may cause more decay. Do not eat or drink a sweet beverage after you brush at night as teeth will remain coated with sugar and food all night. Read more articles on Dental Health. Does Breastfeeding Cause Tooth Decay? 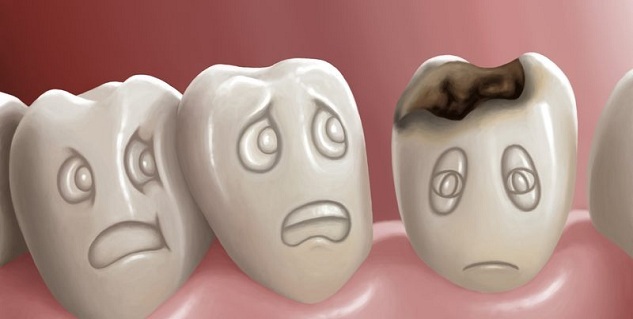 What is the Treatment for Tooth Decay?